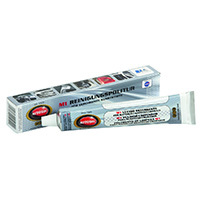 IMS Company - Super Fine Metal Polish - M1, 2.5 oz (75 ml) Tube. For Molds with Specialized Surface Treatments and Coatings. Cleans and Removes Plastic Build up. Super Fine Metal Polish - M1, 2.5 oz (75 ml) Tube. For Molds with Specialized Surface Treatments and Coatings. Cleans and Removes Plastic Build up.